Every year we make it a plan to visit local pumpkin patches and we tend to hit a couple through the month of October. 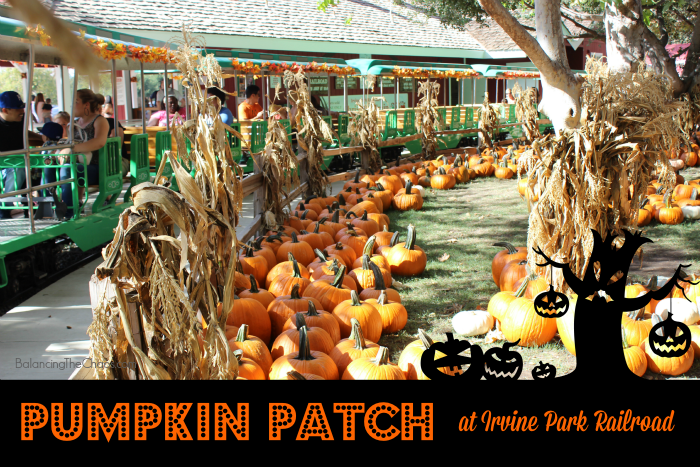 The Irvine Park Railroad Pumpkin Patch is one of the best, with great family fun activities for all to enjoy. 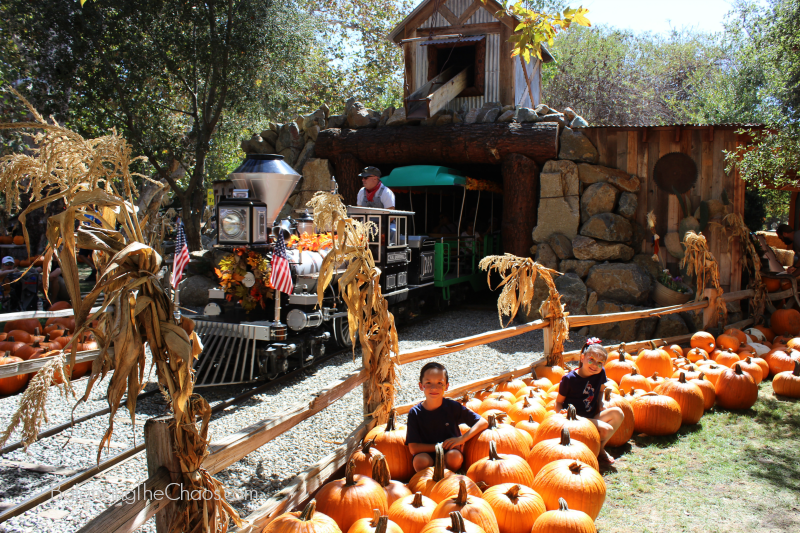 For it’s 11th annual run, Irvine Park Railroad’s Pumpkin Patch is open daily now through October 31st and is located inside of Irvine Regional Park in the foothills of Orange, California. 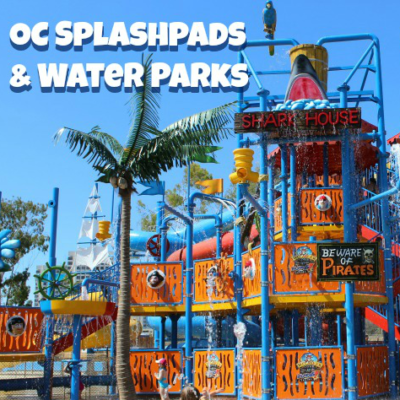 The top reason we visit every year – MEMORIES. 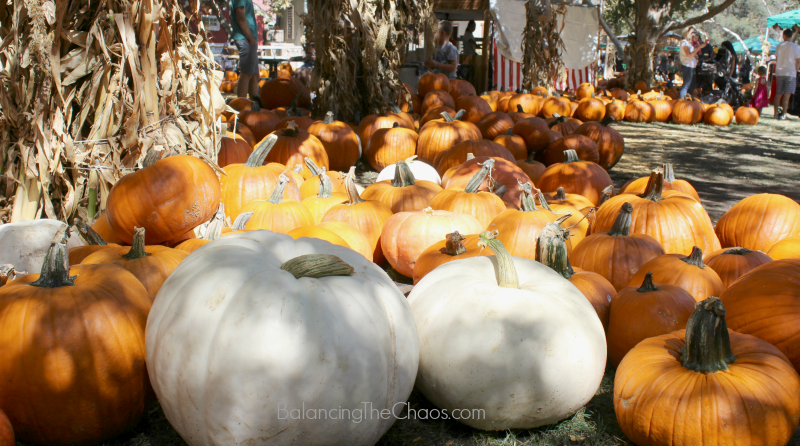 I’ve been bringing my kiddos to Irvine Park Railroad’s pumpkin patch since handsome boy was a year old. Every year we the kids have to get dressed up into something “Halloweeny” so that I can snap away. With the beautiful setting, and a bazillion pumpkins everywhere, you’re sure to get that awesome fall picture every year. Hey, it may even be “holiday card” worthy! The next reason is the activities. A lot of the pumpkin patches around Orange County offer bounce houses, but the pumpkin patch at Irvine Park Railroad offers families different activities. For instance, for the last 3-4 years, my son has been obsessed with the John Deere tractor races. Each year I remind him he has his own mustang at home he can drive around the block, but the tractor races seem to make his day. 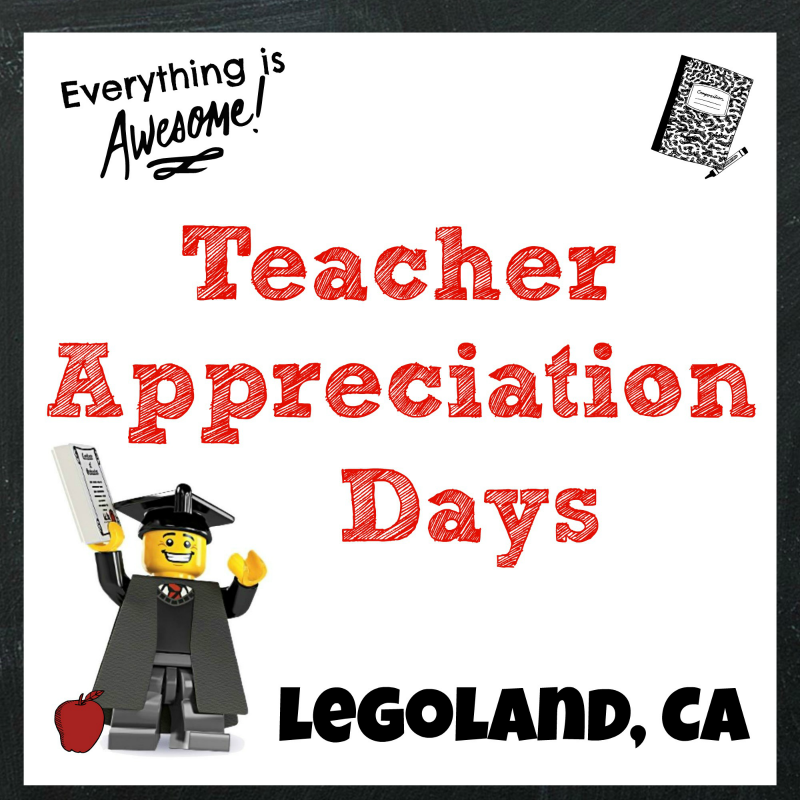 This year, they absolutely LOVED the carnival games this year with great prizes! I think it brought out their competitive sides! 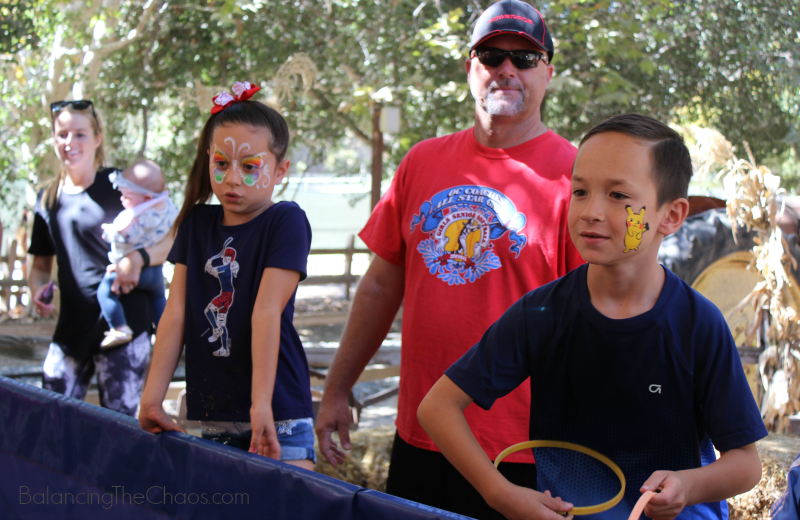 Reason #3 why we enjoy the Irvine Park Railroad Pumpkin Patch is the face painting. If you’ve been following along since we’ve been ToddlerTrails.com, you probably noticed that my daughter has an addiction to having her face painted. The artists at the railroad have turned her into a beautiful princess with fancy crowns, pumpkin crowns, pumpkins, and this year butterflies and Pikachu and a poke ball. 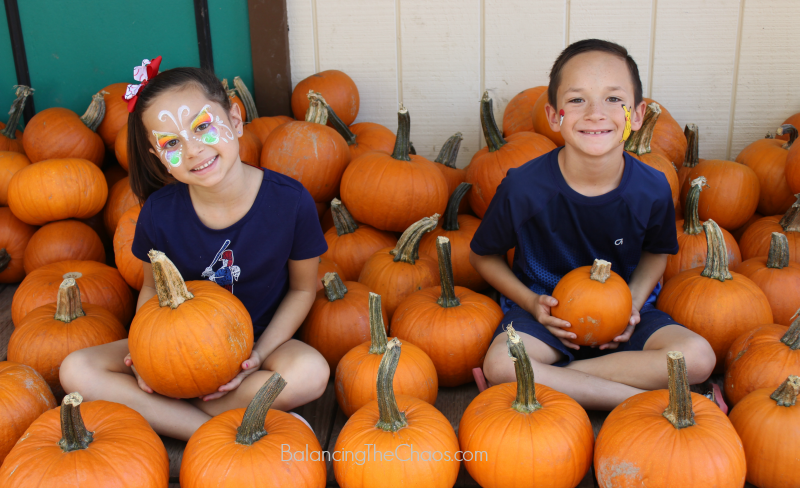 The 5th reason we love Irvine Park Railroad’s annual pumpkin patch is the smiles. Seriously, these kids dig the annual events at the railroad. Every year I ask them if they’d like to go and it’s always unanimous. They run from one attraction to another and this is the result – I just can’t resist those faces! This year was super special because they had the opportunity to check out some gigantic pumpkins and meet Henry DiCarlo to personally say thanks for always wishing them a special happy birthday each year. If you can believe it, the largest pumpkin weighted in over 1,400 lbs! The kids got a kick out of seeing the forklift pick up the pumpkins and seeing the numbers on the scale. It truly was a day to remember! What a fun pumpkin patch! Nice way to spend time together!